Modernize is one of the top sources for finding HVAC in Plano, TX. We are proud of what we do. We want to connect our homeowners to the best local heat and air system contractors in a quick and easy process. It is always smart to compare at least four different price quotes from contractors to make sure you are getting the best local prices on installation services. Whether you're upgrading your HVAC unit now or looking to learn more about what you can do in the future, finding reliable HVAC services is always a smart choice. Get free quotes from the best hvac repair contractors in Plano, TX, ready to complete your project. Staying cool and warm is one of the perks homeowners enjoy when a new and highly efficient HVAC is installed in the home. Whether this is your first time buying a system for the home, or you’re upgrading your current system with a more efficient model, it’s important to know what the main in order to select a brand and an appropriately sized unit. When it comes to selecting a new HVAC system, you’ll have a variety to choose from. Based on the individual needs of your property, you can choose the one that provides the best efficiency and comfort level. Below are examples of what is available in HVAC systems. One of the most important points to discuss with the sales representative is which size unit will accommodate the square footage of your home. The size of the unit, along with its efficiency ratings, ensure you’ll get your money’s worth. You do not want a system that can’t accommodate the size of your property because it’s too small nor do you want a system that will not function effectively because it is too large for the square footage. When it comes to HVAC systems, the size of the system is one of the most important pieces. If you’re replacing an existing HVAC system, don’t assume the size currently installed is what you need. The HVAC specialist should run a set of calculations based on several factors to determine the unit size. You can do this yourself with an online calculator. Before heading to the local home improvement center or private business, have a few basic questions to ask the salesperson that will help in the selection of an appropriately sized, and energy efficient, HVAC system. A knowledgeable salesperson will be able to provide the answers that ensure you buy the system you need. Using the square footage of my property, what size HVAC system do I need? Should I replace the current system with the same size? Does one brand offer better energy efficiency than another? Are Energy Star systems the only equipment offering tax credits? Is a bigger system better than one that only fulfills the square footage requirements? Do I need to have ducts installed? Do I need to replace the current duct work? 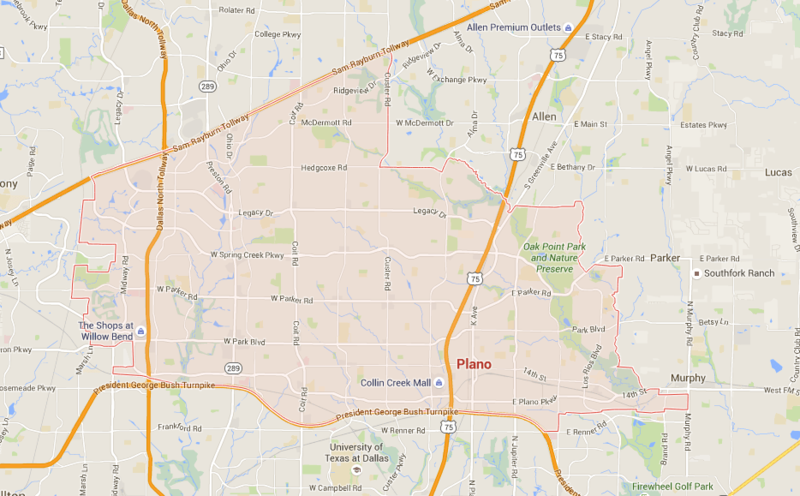 Does the climate in Plano play a role in HVAC selection? My home needs some tuning up, should I do this before or after installation? What should I do about hiring a contractor? When looking at HVAC systems, you’ll want to take into consideration the city’s climate so you stay warm during the winter and cool during the summer. On average, Plano’s temperatures run in the low to mid 30s during the winter and the mid to high 90s during the summer. Humidity is above the national average which means you want a system that can handle removal of humidity from your home. This is why the size of the HVAC is especially important. It is essential that you hire a certified, insured, and appropriately licensed HVAC contractor to install your new HVAC system or it may not be installed according to city code. Also, using an unlicensed person to install the system can nullify your warranty. When researching for a contractor, check with the city to be sure the person has a current license that allows them to do the type of work necessary to install a HVAC system. It’s also a good idea to contact the local Better Business Bureau to make sure the company does not have any outstanding or past complaints or law suits. The City of Plano requires a property owner to have a permit prior to HVAC replacement or installation. It also requires that the contractor be registered with the city before beginning any project. You can find out more about permits and fees from the city website or by visiting at 1520 K Avenue or calling (972) 941-7000. Return of Investment-Does It Apply? The answer is yes. While it may mean investing a significant amount of money upfront for a new system, there is a pay off in more ways than one. First, with a new system installed, the value of your property immediately increases. This is a plus should you decide to sell in the future. While you’re living in the home, you can expect better overall comfort, better efficiency of the unit, and lower utility bills. There are also programs available offering incentives, refunds, and rebates that come in handy to help defray the cost. This means even more savings to you. Check this website for programs available in your zip code. When making your home in Plano, you want to be as comfortable and energy efficient as possible while enjoying lower utility costs. A new HVAC system fine-tuned to the Plano climate can make this happen.